This, in fact, is one of the reasons many writers get stuck. We don’t want to take risks, or--if we do--we don’t want to show anyone those risks. When we do share our work, if it’s not met with unabashed aplomb, we often react with either severe pain (retreating and licking our wounds, kicking ourselves and vowing never to write again) or anger (a harrumph and a growl, a vow that your reader is uncultured swine and just doesn’t understand your genius!). Both reactions, it might be noted, are rooted in fear. Fear that we’re not good enough. Fear that we don’t measure up. Well, you can go ahead and let go of that fear, because guess what? You don’t measure up. Hate to break it to you, but none of us do. Show me a writer who has finally become “good enough” and I will show you a unicorn with lightning farts. That’s right, neither of those things exist (everyone knows unicorns fart rainbows. Duh.). There will always be writers better than you. There will always be readers who have constructive, or just plain mean, criticism. The point of writing isn’t to somehow reach “enough,” or to find a place where you’ll never receive criticism. I can show you that place right now--it’s called a sock drawer. Put your writing there and you’ll be safe. Don’t worry about whether you’re good enough—don’t waste time beating yourself up. That’s not humility, that’s an extremely painful distraction. What’s the point? Don’t worry about you at all. Focus on developing your writing. Listen to criticism as something separate from yourself. Think of it as critique of another writer’s piece, a piece you’ve been assigned to edit. Simultaneously, remember that your editing is your choice, and sometimes you have to choose to let go of a reader’s advice. You are, after all, the writer. 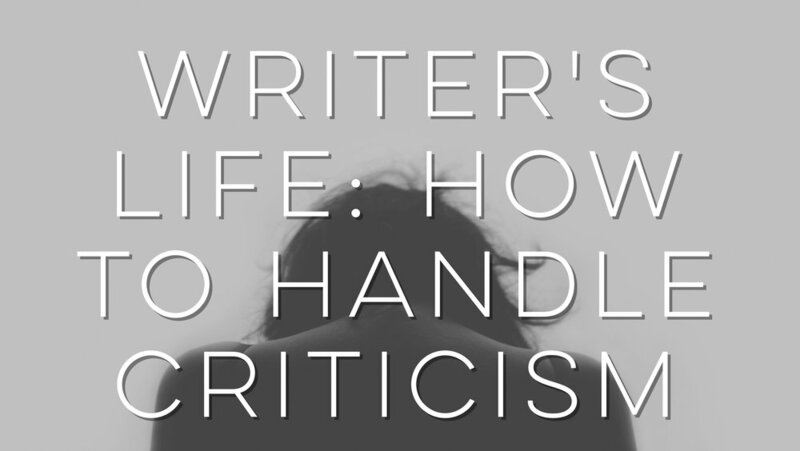 Criticism is the most essential tool for your growth as a writer. Trust me, no matter how good you think you are, there’s always a plot hole that’s only obvious to outside eyes. There’s always a sentence (or ten) that are way more convoluted than you realize. There’s always a way to improve, so don’t get distracted by worry or fear. Just enjoy the process. Keep writing, keep editing, keep growing. Like what you're reading? Sign up with your email address to keep up with new posts.